Dr. Richard Bensimon is in Australia this week at the Royal Australasian College of Surgeons in Melbourne. Dr. Bensimon is serving as the only American plastic surgeon faculty member for the Melbourne Advanced Facial Anatomy Course (MAFAC), a prestigious course on surgical facial anatomy developed by plastic surgeon Dr. Bryan Mendelson. The Melbourne Advanced Facial Anatomy Course has been designed specifically for practicing plastic surgeons or plastic surgery trainees in their final year, to advance their understanding of facial anatomy to the level where they can comfortably and safely incorporate the benefits of recent advances into their clinical practice. MAFAC is based around a tightly structured, two-day dissection program focused on maximizing surgeons ‘learning through hands on experience’. 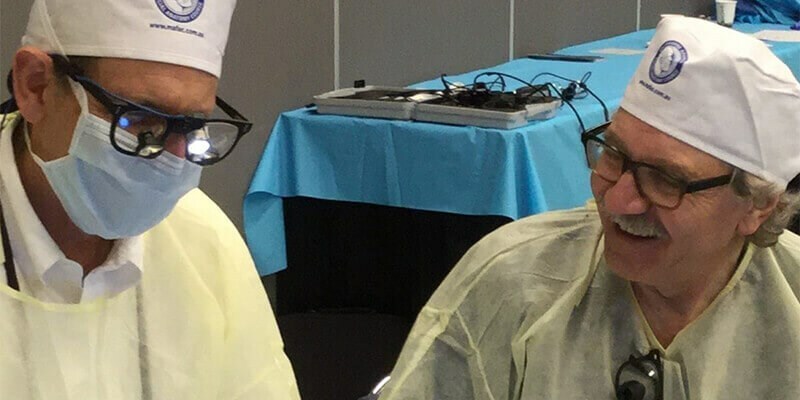 As a dissection tutor, Dr. Bensimon will work side by side with participants to help them understand the facial layers, the important of facial nerve relationships and their applications utilizing surgical quality cadavers. As a board certified plastic surgeon with over 25 years’ experience, Dr. Bensimon’s expertise in facial anatomy establishes him as one of the premier plastic surgeons in comprehensive facial rejuvenation. When you’re ready to discuss your options for facial rejuvenation, please contact our office and schedule a private consultation with Dr. Bensimon.